An array of health-supporting nutrients: Used by the Pacific Islanders for centuries and made popular in recent years as a healthy beverage. 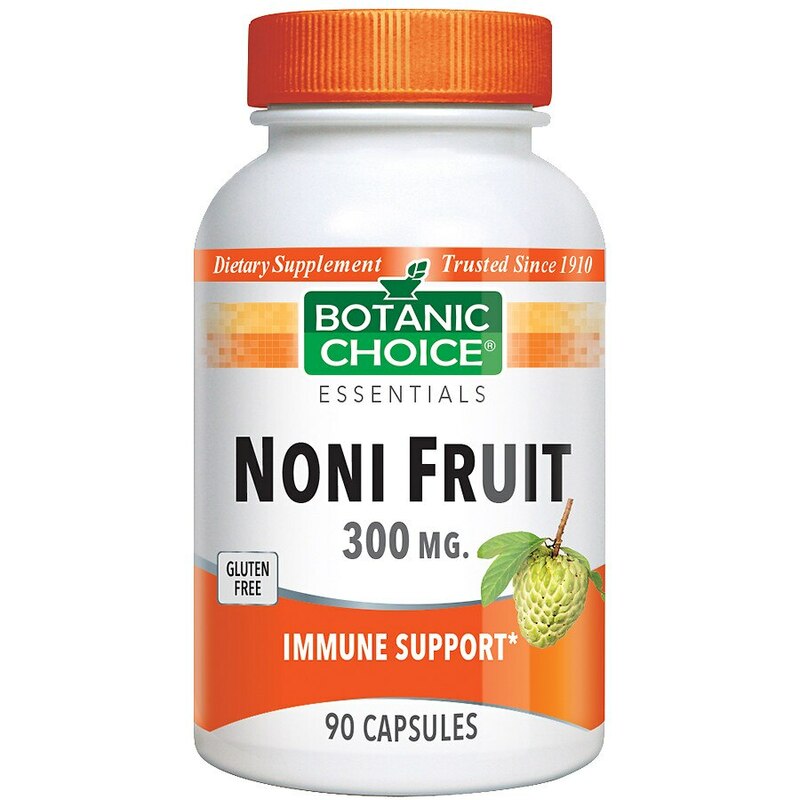 Noni fruit is best known today for its ability to maintain a healthy immune function. About the size of a potato, this natural fruit is power-packed with a broad spectrum of naturally occurring compounds including amino acids, proteins, fiber, iron and antioxidants to fight free radicals. Our convenient capsules deliver 300 powerful milligrams of healthy benefits. Protect yourself with our Noni Fruit today. Take 1 capsule daily as a dietary supplement, or as directed by a health care professional. Store in a dry, cool place. © 2012 Indiana Botanic Gardens, Inc.